Troy Clark was condemned for the May 1998 slaying of a former roommate, Christina Muse of Tyler. Authorities said that Clark, a drug dealer, had worried that Muse would snitch on him. “I feel it,” he said. Then he grunted, gasped and began to snore. Seconds later, all movement stopped. He was pronounced dead 21 minutes later at 6:36 p.m.
She also said that Clark’s attitude during the procedure was troubling. 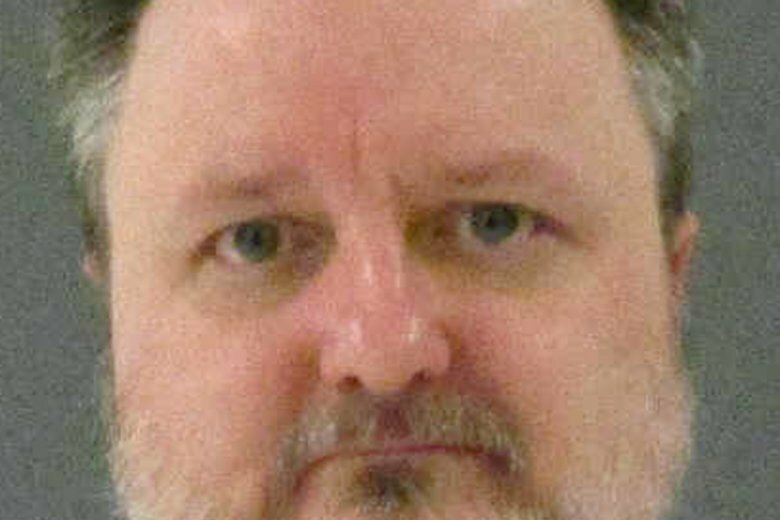 The 51-year-old Clark became the 17th inmate put to death this year in the U.S. and the ninth given a lethal injection in Texas, the nation’s busiest capital punishment state. Clark is the first of two executions this week in Texas. Daniel Acker was scheduled to be executed Thursday for fatally running over his girlfriend. The Texas Board of Pardons and Paroles declined to recommend a commutation of Clark’s sentence. After his conviction, Clark had argued his trial attorneys failed to present evidence of his childhood, marked by physical and emotional abuse, which might have convinced jurors to spare his life. Appeals courts had previously ruled that because of the overwhelming case against Clark, it’s likely he still would have been sentenced to death even if the jury had heard evidence of his troubled childhood. Prosecutors said Clark subdued Muse, 20, with a stun gun, bound her with duct tape and left her in a closet for several hours while he played video games and sold drugs to a customer. Clark later moved Muse to a bathroom where he hit her with a board and threatened his girlfriend, Tory Bush, into helping him drown Muse in the tub. Muse’s body was then stuffed into a barrel with cement mix and lime before being dumped in a ravine. Prosecutors also presented evidence Clark had committed two other murders, including one that occurred after Muse’s death but prior to his arrest. The Smith County District Attorney’s Office, which prosecuted Clark, declined to comment. Bobby Mims, one of Clark’s trial attorneys, said Clark denied killing Muse. “But there was pretty strong evidence that he was guilty. Tory Bush was pretty damning,” Mims said. Bush, who testified against Clark, was sentenced to 20 years in prison. Mims said he and his co-counsel were ineffective during the punishment phase in presenting evidence of Clark’s troubled childhood, which included having a mother who was incarcerated for most of his life and who introduced him to drugs. Mims said when Clark’s case was tried in 2000, most defense attorneys didn’t focus on presenting mitigating evidence of a defendant’s problematic life as part of their efforts to prevent a death sentence. The 5th U.S. Circuit Court of Appeals had previously denied Clark’s appeals on this issue, saying in 2012 that Clark refused to let his trial attorneys contact family as well as others to testify on his behalf. “At the punishment hearing, the prosecutors actually had one or two of (Clark’s) own relatives show up and they had indicated they wanted him to get the death penalty. It was crazy,” Mims said. Mims said he doesn’t know if evidence of Clark’s troubled life would have made a difference with the jury. “I hope he’s made peace with his maker,” Mims said.